Dear Brothers And Sisters In Christ, it has been our tradition for the past several years to give the Board of Missions the privilege of sending greetings to all of you through the December issue of the BASIC newsletter. So, on behalf of the CLC Board of Missions, we send our greetings to each of you with prayers to the Lord’s throne of grace that He will grant continued blessings as we rejoice in faith over the greatest gift ever given, His only begotten Son! We are thankful to the Lord for each of you and the many opportunities He gives to all of us to go about the privilege of proclaiming the Good News of sins forgiven through the life, death, and resurrection of our Savior Jesus Christ. During these past few weeks of the Advent season I have had the joy of reminding and encouraging the souls that I am called to serve with precious message of comfort. We have considered the comfort of a faithful God who loved sinful people like us and promised to send the Messiah to be their savior. We considered and were comforted in the truth that John the Baptist was a promised fulfilled as he came preaching and baptizing in the wilderness to prepare the people for the Messiah. And we were comforted by the truth that our warfare was ended when God was in Christ reconciling sinners like us through the atoning sacrifice on His Son. On Christmas Eve we will be comforted in the truth that the God has faithfully kept His promise when He sent His only Son to be born in Bethlehem just has the prophets had foretold! “Prepare the way of the Lord; Make straight in the desert A highway for our God. At the birth of Jesus, the wait was finally over. The true Comfort of Christmas was finally here. What happened that night in the small town called Bethlehem would eventually resonate across the globe, throughout all of history, bringing comfort to many broken hearted sinners. But first, the news had to be spread. Those shepherds, who were out tending their flocks by night, were the first to hear and be comforted by Christ’s birth. They must have known the significance because they went with haste to Bethlehem to see their Savior. That was 2000 some years ago but the birth of Christ holds just as much significance, importance, and comfort for us today as it did all those years ago. And so, we too have the privilege of proclaiming Christ to the world. 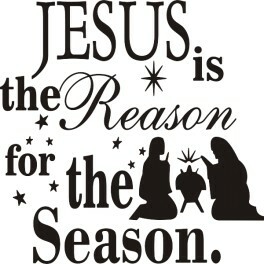 Christ the Savior, bringer of Salvation and true Christmas comfort it born! Rejoice in the true Comfort of Christmas! I pray that the Lord will bless each of you, your families, and the souls you have been called to serve in the year ahead! It is my privilege to serve alongside each of you in this great harvest field!